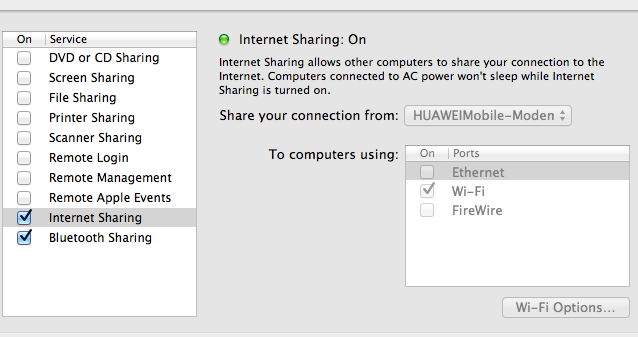 I used to sharing my internet connection from mobile broadband modem via wifi.My Internet Connection is Mobile Broadband Modem –> Macbookpro –> Wifi –> Clients.Â In OS X 10.6 Snow Leopard, i just check internet sharing option on System Preferences -> Sharing. Â But when i did it in OS X Mountain Lion, DHCP Server didn’t works. 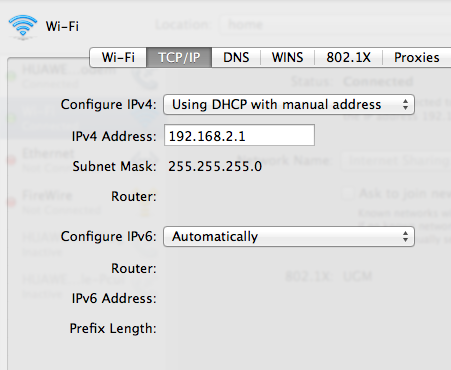 Clients failed to obtains IP Address from DHCP Server on Mountain Lion. 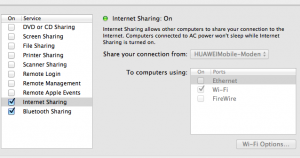 I read from official knowledge baseÂ that when i turning internet sharing on, it will starting DHCP server. But in my laptop it’s not started. It is a bug? So, i set up manual IP Address for wifi connection. And it works!